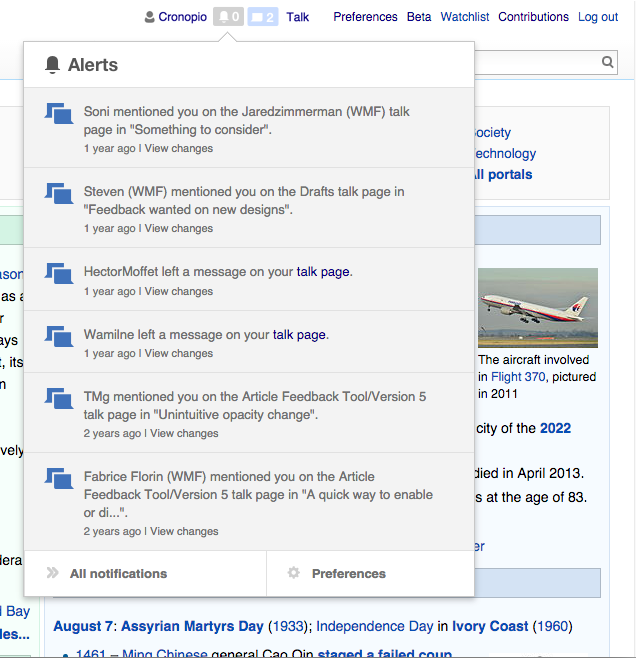 Esanders added projects: Notifications, Collaboration-Team-Triage. Esanders added subscribers: Esanders, Aklapper. Mooeypoo edited projects, added Collaboration-Team-Archive-2015-2016; removed Collaboration-Team-Triage. 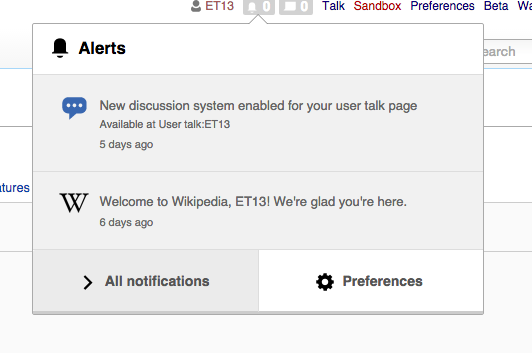 Any reason why these buttons aren't centered like MessageDialog? After I converted to framed buttons I had to override the alignment, as framed buttons use text-align:center. I created that mockup on top of a screenshot of the current status at that time (adding the icon in the header and showing how it fitted with the new badges). It was not intended to describe any change for the rest of the elements. I agree with @Esanders in making the whole area clickable to match expectations and require less precision to access it. Having the labels centered in that space seems good to me. It can be argued that keeping "All notifications" action aligned with the rest of the elements above it facilitates the scan line, but it also makes the margins to become unbalanced. So overall, I'd expect centered actions to work better.